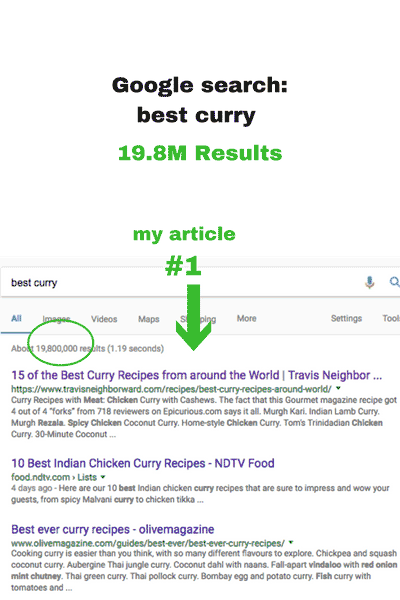 Using SEO content marketing to rank on Page 1 of Google searches alongside the most popular food websites, blogs, vlogs, and TV shows. Ranking high on Google for recipes and food articles isn’t easy, especially for a website that isn’t entirely within the food niche. You have to compete against all the food bloggers, websites, and YouTube. 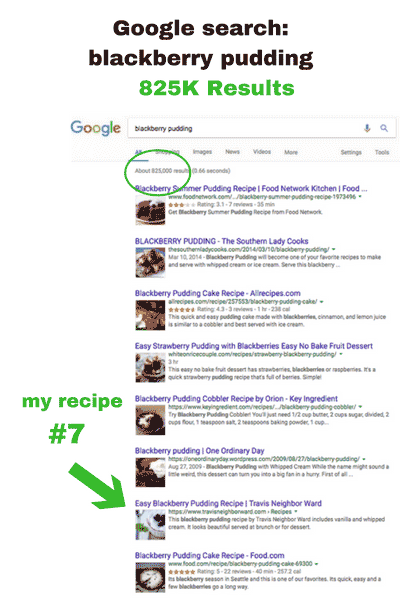 So how can you rank organically on Page 1 of a Google search — or even at Number 1? To find out, I created original recipes, food-related blog posts, and a meal planning quiz. Then I applied my SEO content marketing success formula. I did not spend any money on ads. I crafted two types of cooking posts: single recipe posts, using recipes I created; and roundup posts in which I curated and reviewed single recipes by food bloggers and food websites. I concentrated on creating the same quality content and photography as national food websites. 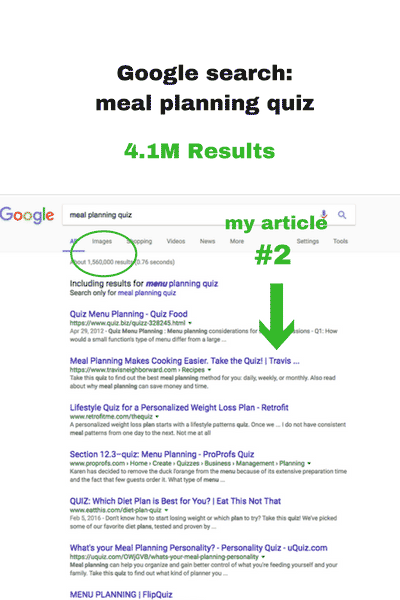 I also created an online meal planning quiz as a standalone post. Before producing these, I did intense SEO keyword research; gathered social sharing data; created competitor analysis; and identified food bloggers who might share my posts with their social media followers. 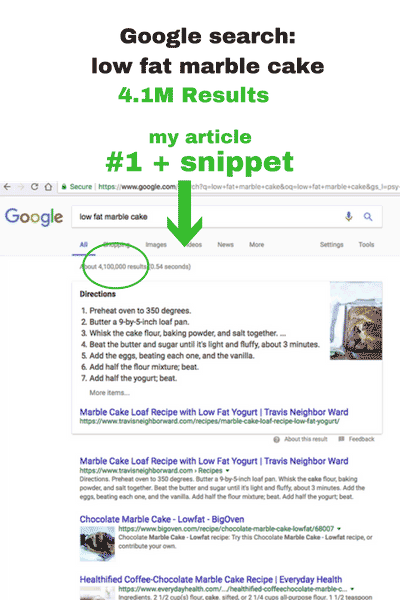 For these single, original recipe posts, I identified specific long tail keywords I wanted to rank on Page 1 for. I analyzed the competition for word length and keyword density, and crafted and prepared original recipes, which I photographed in my studio. After I produced the posts, I carefully crafted SEO based on my research. For the roundup review post, I focused on using the word “best” in the title. 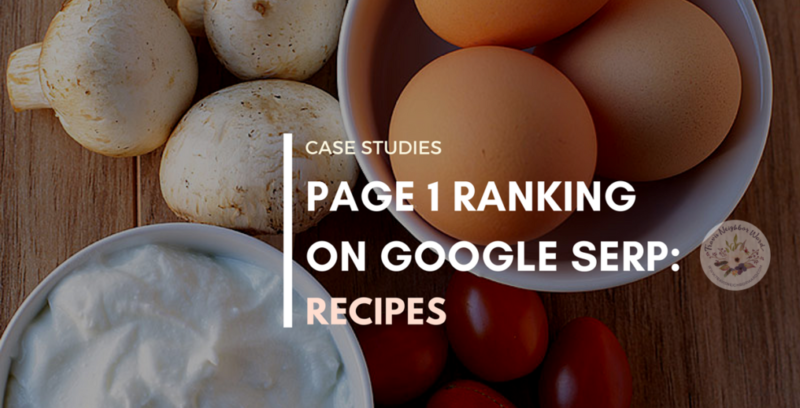 Using SEO tools, I identified which recipes in general were the most shared on Pinterest and Facebook. I narrowed down my keywords and selected the most shared articles, then confirmed the number of shares. Next I reached out to bloggers and asked permission to use their photos. I wrote an original review of each blogger’s recipe and included a photo and link to the recipe. To promote my posts, I reached out again to food bloggers mentioned in the posts, and I posted the article on Twitter, Facebook, and Pinterest. I promoted this mainly by posting it within social media communities centered around food.